When her husband offered to buy her a horse, it might have sounded like a fairy tale come true for Kimberly Lewis. But in the end, Lewis settled for the one horse whose life was more like the opposite of a fairy tale. Something, in fact, closer to a nightmare. 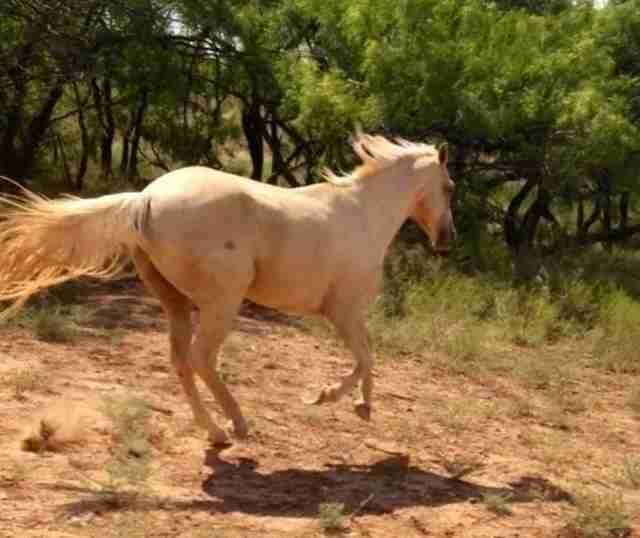 After looking at several horses and not feeling a connection, Lewis happened to drive past an animal shelter. That's when she spotted the shelter's latest refugee. "She was a heartbreaking sight," Lewis tells The Dodo. "Total skin and bones, hair matted, hooves overgrown." The most striking thing about the horse was her eyes. The light seemed to have gone out from them. Like the horse had just given up. That's when another kind of light flicked on inside Lewis. "I knew she was the one," she recalls. Make no mistake: This was no show horse. Before arriving at the shelter, her sole function in life was to breed. 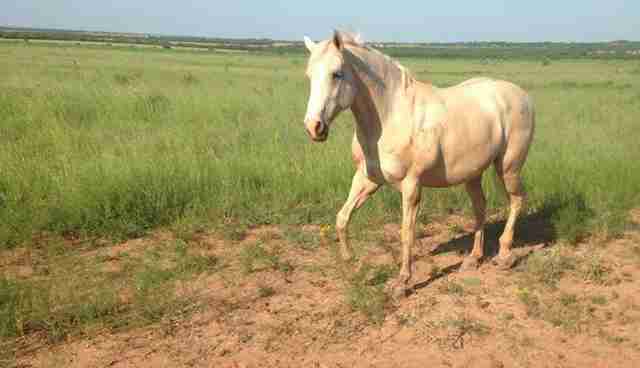 In fact, her previous owner had started breeding her from such a young age, the horse lost her first baby - an outcome that sparked her owner's wrath. "He beat her and starved her, and kept her locked in a small pen," Lewis says. 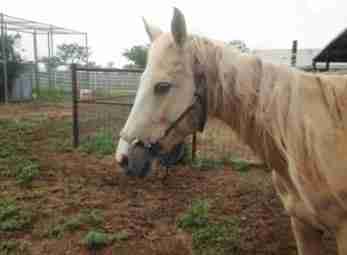 At last, the horse's old owner agreed to give the horse to a member of his family, who, in turn, brought the battered horse to the shelter. "I called my husband and told him I wanted her," she says. Lewis had no idea if this horse was too shattered to ride. Or if she would even live much longer. 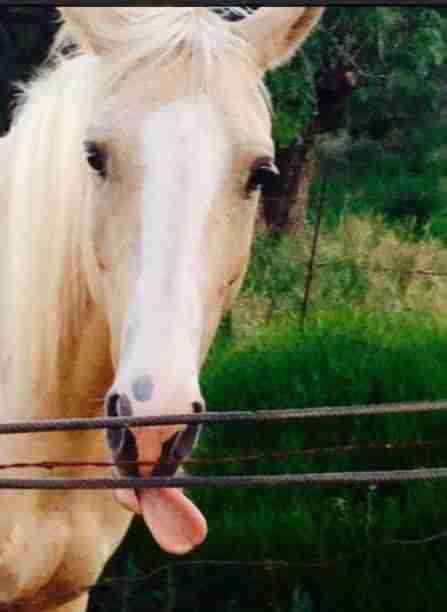 "All I knew was she deserves a chance to be a horse," she explains. Lewis handed the shelter $50. 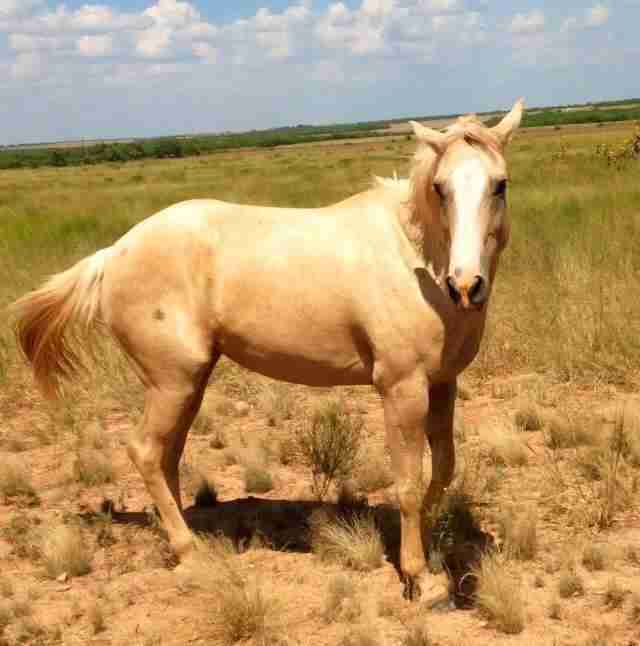 She named the horse Dolly - up until then she had been a horse with no name - and took her home on May 23, 2015. And on the family's 156-acre farm in Tennyson, Texas, the transformation began. Lewis spent countless hours with Dolly, building her strength, rebuilding her spirit - restoring her faith in humanity. And gradually, from the embers of a shattered life, a princess emerged. At 4 (or possibly 5) years old, Dolly stands tall at 16 hands. She weighs 1,400 pounds - nearly twice as much as the haggard 812 pounds Dolly checked in at a year ago. "The biggest change is her eyes and her personality," Lewis says. "She is a goofy girl and loves to follow me around." 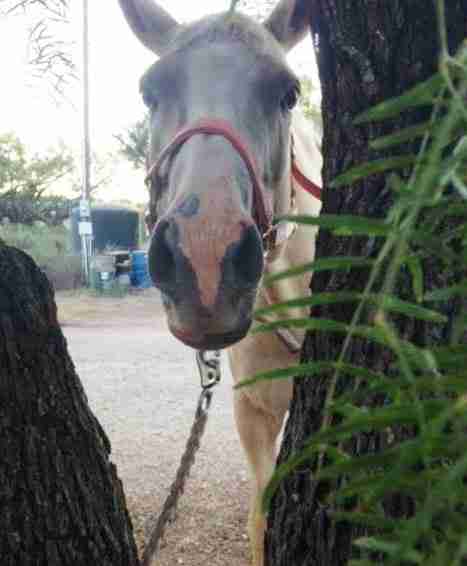 Indeed, you don't have to look long to see the light has returned to Dolly's eyes - and that both human and horse have found their fairy-tale ending. "The thing is, as corny as it sounds," Lewis says, "we rescued each other. I am constantly learning from her, becoming a better person because of her." 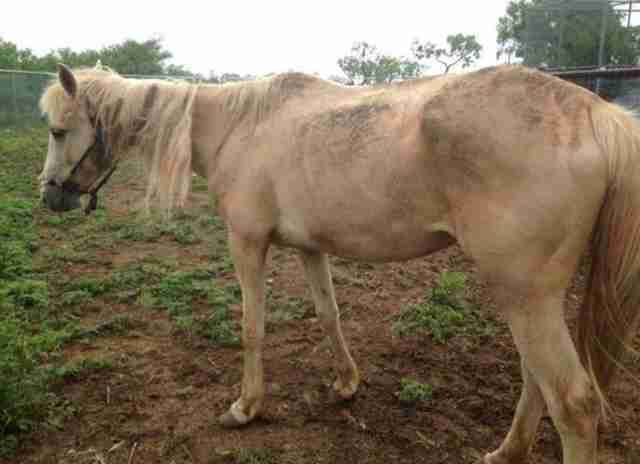 Dolly is hardly the first neglected horse to be transformed by love. Countless more are still waiting for their heroes. Want to help? Consider making a donation to a rescue group like Becky's Hope.